About 12 miles northeast of downtown Portland, it usually takes a solid half-hour to drive to/from Portland International Airport. Portland’s MAX (Metropolitan Area Express) light rail Red Line serves the airport and is scheduled to make the trip to downtown in 38 minutes. The MAX station at the airport is on the lower level, near baggage claim. Alaska Airlines flights generally arrive and depart on the South Concourses at gates A1-A12, B1-B3 and C1-C11. 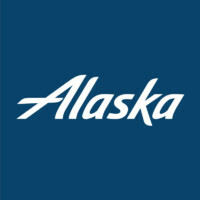 Passengers can connect to other Alaska flights without exiting the TSA secure area. A concourse connector with moving walkways allows passengers to connect to the North Concourses without leaving the TSA secure area. It goes between gates C1 and D1. Portland prides itself on its eclectic appeal. It was one of the first cities in the U.S. to embrace the microbrewery phenomenon. The City of Roses and the area surrounding it is known for its scenic beauty. The city is also known for its eco-friendly urban planning. Travel Portland has some ideas for planning your visit here.